Aren’t these backpacks the cutest? 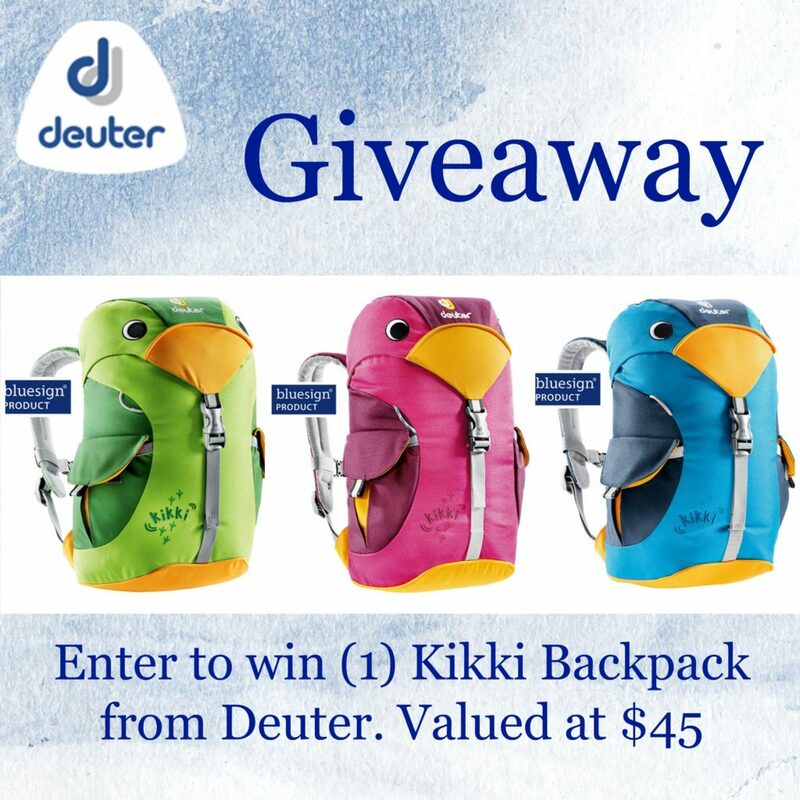 I know I’m Canadian, but the world is a big place and that’s why I want to help out MamaFox in promoting this awesome giveaway for deuter bags! I can’t wait till my little is big enough to carry his baby on our next hiking adventure! Deuter is a front runner in high quality hiking and mountain climbing backpacks. They hit the ball out of the park with their children’s backpack – the Kikki. This versatile backpack is the perfect size for the free personal bag for children flying on airplanes; making this the perfect kids carry on. Now you have a chance to win one in the color of your choice. Come back daily to increase your odds of winning this stellar backpack. Learn more about flying with the Kikki here.